Native to India, Moringa has been used worldwide to address malnutrition. It is a nutritionally complex whole food naturally abundant in B vitamins, and amino acids. 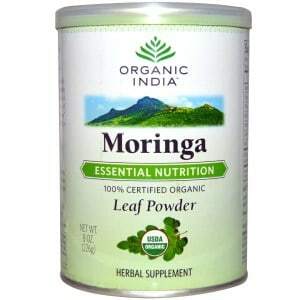 Daily use of Moringa can help to restore your imbalances and add concentrated super food nutrition to your diet. Recommended Use: As a dietary supplement, mix ½ teaspoon with water, juice, tea or blend into your smoothie! Warning (CA Prop 65): This product contains chemicals knows to the State of California to cause birth defects or other reproductive harm.